Sinusitis occurs when cavities that are located around your nasal passages suffer from inflammation. It's possible for sinusitis to become a chronic condition, which means that it can last for at least several months and may not be able to dissipate on its own. One modern procedure that is being used for the treatment of sinusitis is balloon sinuplasty. 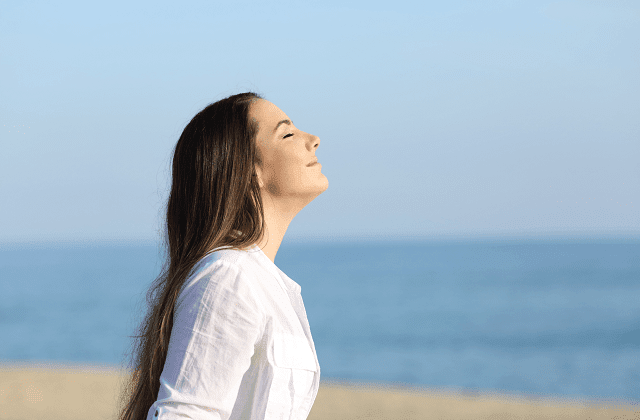 If you are considering a balloon sinuplasty and believe that this treatment is right for you, you should first be aware of what the treatment is and all that it entails. This is a type of modern treatment that has been designed to be safe and minimally invasive, which means that the recovery process that occurs following a balloon sinuplasty is designed to be less burdensome that that of a traditional sinus surgery. One reason that this type of surgery is less invasive than other types is due to the fact that there is no cutting of the bone or tissue within your nose, which helps to shorten the procedure and the associated trauma. A typical balloon sinuplasty procedure takes around 45-60 minutes to complete and is designed for improvement in sinus-associated symptoms. This is a very simple procedure that requires no cutting or removal of tissue. The procedure begins by having a small catheter placed into the sinus openings. A balloon on the catheter is then inflated to open the blocked passages. When these passages have been opened, any built up mucus will be able to drain more effectively, which also means that you will be able to start noticing the alleviation of symptoms that you were experiencing with your sinusitis. A saline solution may also be sprayed within the sinus to remove any infected mucus or pus that can be found within. Once the passageways have been opened and any substances have been removed, the catheter is also removed and the treatment is done. Even though this treatment is minimally invasive, you will still be provided with anesthesia before the procedure to make sure that you're calm and don't experience any pain. You should be able to return to work following the procedure after 1-2 days. Should You Obtain a Balloon Sinuplasty? If you're wondering whether or not a balloon sinuplasty is right for you, the best way to ascertain whether or not you are a good candidate for this procedure is to speak with your ENT specialist. They will be able to provide you with a thorough checkup that will determine what the best course of action is for your sinusitis. If you experience such symptoms as facial pressure and pain, sinus headaches, congestion, and a decreased sense of smell, you may want to consider this type of procedure. It's important to understand that a balloon sinuplasty doesn't completely cure sinusitis. In order to do so, you may also need certain medications that will help to clear up the underying issues that are causing you to suffer from sinusitis. With the sinuses open; however, it is hoped that the medications can now access the sinuses so that your condition may improve. Balloon sinuplasty can help to turn debilitating sinusitis symptoms into much more manageable ones that will allow you to go about your daily life without an undue amount of frustration caused by the sinusitis. This is also a highly recommended procedure for people who have suffered from at least several sinus infections in a single year. By opening up the passageways and removing the substances within, it is expected that these infections and associated symptoms occur much less frequently. If you're wondering whether or not this treatment is necessary for what you're going through, it's first important to distinguish between a standard cold and sinusitis. Colds may often precede a bout of sinusitis. When you are suffering from a cold, it's possible for your sinuses to become inflamed, which will block your nasal openings. When this occurs, it means that you are suffering from sinusitis. If your bout of sinusitis lasts for more than 12 weeks without going away, it's likely that you are suffering from chronic sinusitis, which will typically require medications and may benefit from treatments like a balloon sinuplasty. The standard symptoms that you will experience when being affected by sinusitis include difficulties with breathing through your nose, sinus pressure, tenderness around your nose and forehead, a sore throat, and general fatigue. Balloon sinuplasty has been shown in several studies to be a highly effective treatment for patients with sinusitis, and is designed to provide long-term relief from sinus-related symptoms. It is; however, possible that you will need additional treatments other than a balloon sinuplasty to successfully manage your nose and sinus related symptoms. Balloon sinuplasty is a safe and effective treatment option for appropriate patients with chronic sinusitis who have failed to improve with persistent medical treatments and interventions. A decision on whether or not balloon sinuplasty is the right procedure for you should be made in consultation with your ENT physician.